Be the first to share your favorite memory, photo or story of Billy. This memorial page is dedicated for family, friends and future generations to celebrate the life of their loved one. Billy Gene Gandy, 66, of Ocala, FL, passed away on Wednesday, October 3, 2018 at the Legacy Hospice House in Ocala. Born on May 9, 1952 in Effingham, IL to the proud parents of Fred & Golda (Kingery) Gandy, Bill was a compliance monitoring technician with the City of Ocala and retired in 2008. He was also a former owner and operator of a mobile DJ service until his move to Ocala in 2001. His favorite pastime was riding his Harley, attending bike week activities, rallies and poker runs or just cruising down country roads with friends. 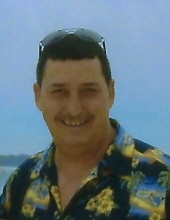 He loved spending time with his grandchildren, camping fishing and boating and he enjoyed traveling with his wife on cruises, going to beaches, canoeing and weekend getaways. Bill is survived by his beloved wife, Retta; his son, William; his daughter, Sherry of Ocala; step daughters: Jody (Jon) Groenke of San Antonio, TX and Dawn (Chuck) Ragona of Mahomet, IL; his brother, Jack of Ocala and his grandchildren: Andrew, Madisyn, Payton, Nathan, Caden, Aubrianna and Cora. He was preceded in death by his parents, brothers Rodney & Larry, his nephew Paul and a son-in-law Douglas Livingston. Graveside services will be held at 2:00 p.m., Saturday, October 13, 2018 at Woodbury Township Cemetery, Jewett, Illinois. Crain Funeral Home, Newton is assisting the family with arrangements. Online condolences may be offered at www.crainfuneral.com. To plant a tree in memory of Billy Gene Gandy, please visit our Tribute Store. "Email Address" would like to share the life celebration of Billy Gene Gandy. Click on the "link" to go to share a favorite memory or leave a condolence message for the family.